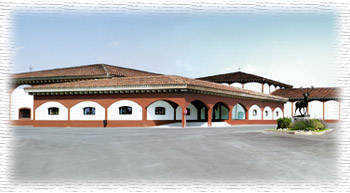 Bodegas El Coto wines? Order El Coto wines easy and safely online! El Coto is the favorite Rioja wine. The premier choice, the one that never fails. But above all, el Coto de Rioja is a wine that is within everyone's reach. Because of its excellent quality / price ratio, its international distribution and because since our very beginning that has been our primary concern. Besides excellence and the highest quality, the passion with which we do our work every day is an endeavor to be able to offer our wines to the greatest possible number of people. It's as simple as that. A brief moment can become unforgettable. At El Coto de Rioja we want to be part of those moments that you will remember forever. Small details for great occasions. Wine is for sharing, for enjoying, for celebrating. But each moment is unique. It may be an everyday moment or an exceptional event, a meeting, an encounter or a farewell. And all our effort, everything that El Coto de Rioja desires, is to offer you a wine that lives up to every one of those unforgettable moments. Each process in the development of the wine is carried out with the utmost care. That is why El Coto de Rioja is organized as if it were twelve small wineries. Each one with the optimum conditions for its job, where each part of the process is handled independently. The vinification is carried out in small tanks that do not exceed 50,000 liters and all our red wines are aged in oak barrels, which are replaced annually. This is the only way to ensure that the work in the vineyard produces the results we really want. The greatness of things lies in the small details. The small details are the essence of El Coto de Rioja.